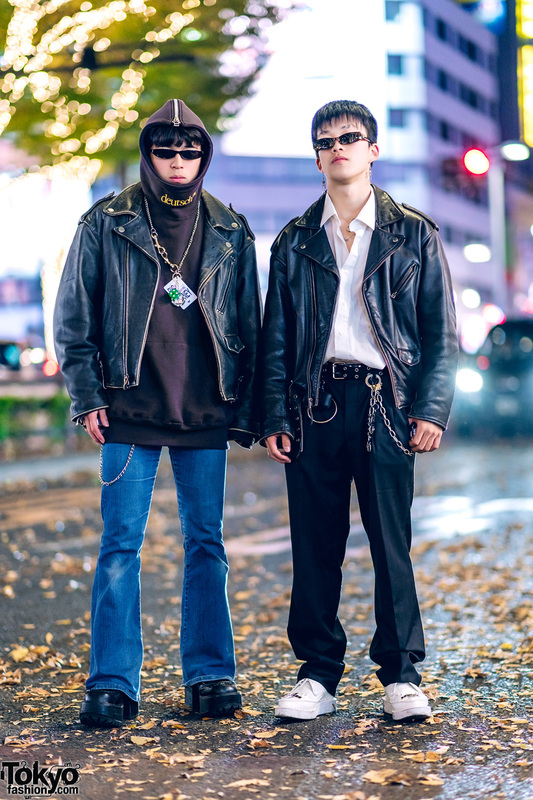 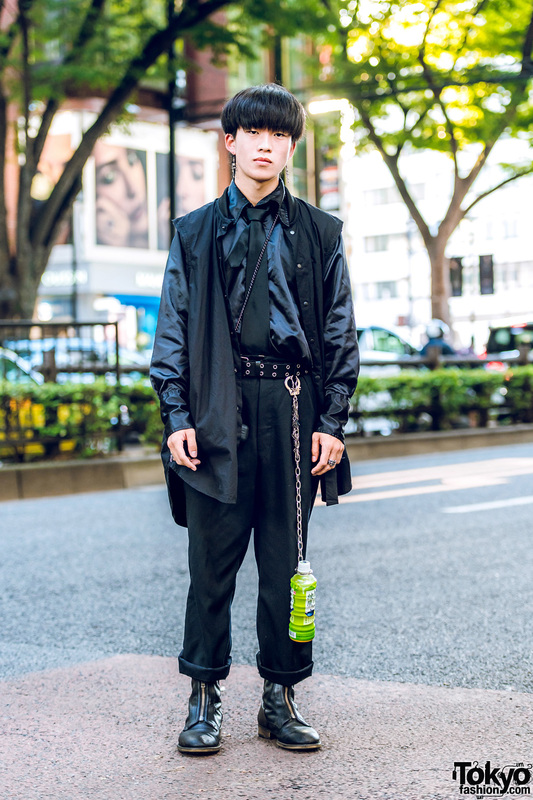 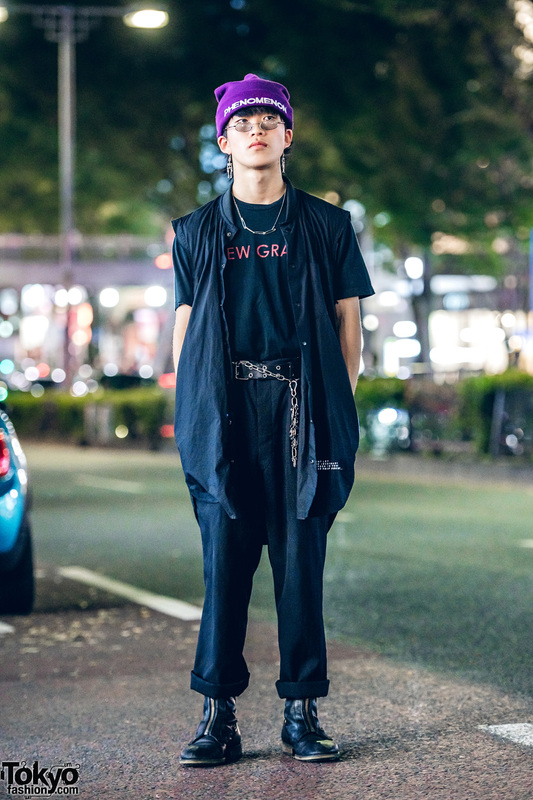 Japanese teen sporting an all black menswear street style while out and about in Harajuku. 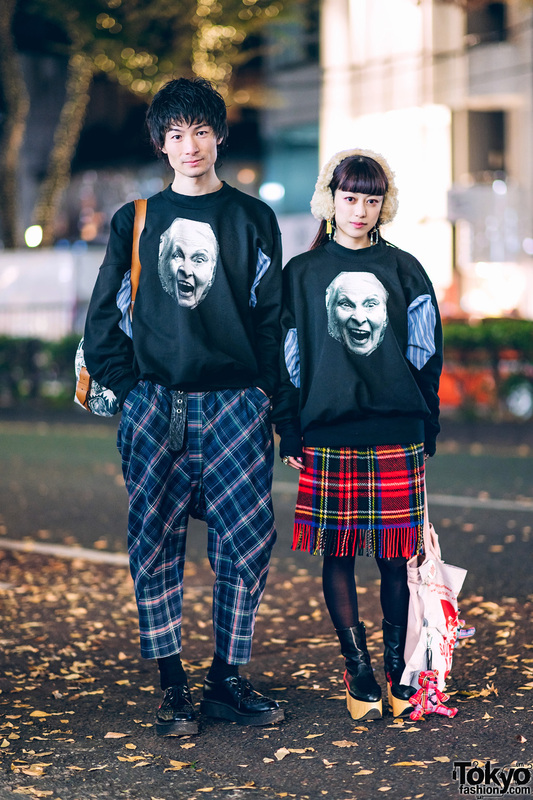 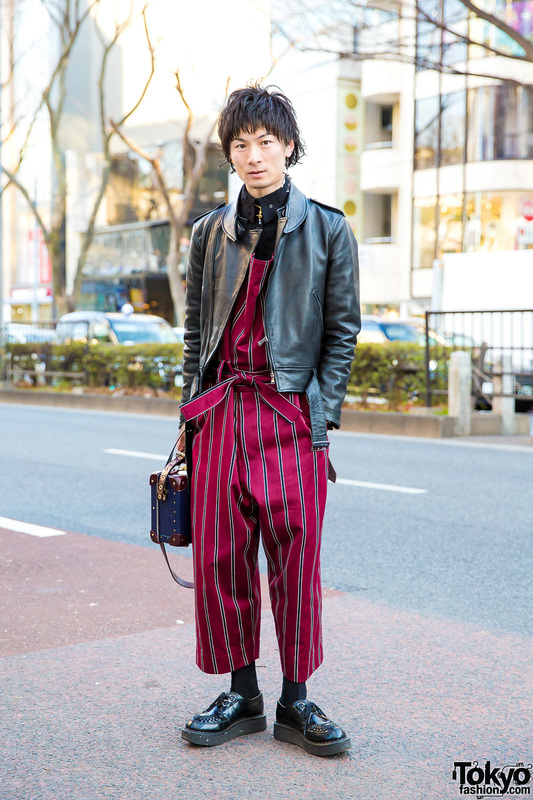 Harajuku guy wearing a striped coat, printed top, skinny leather pants, and statement cutout platforms. 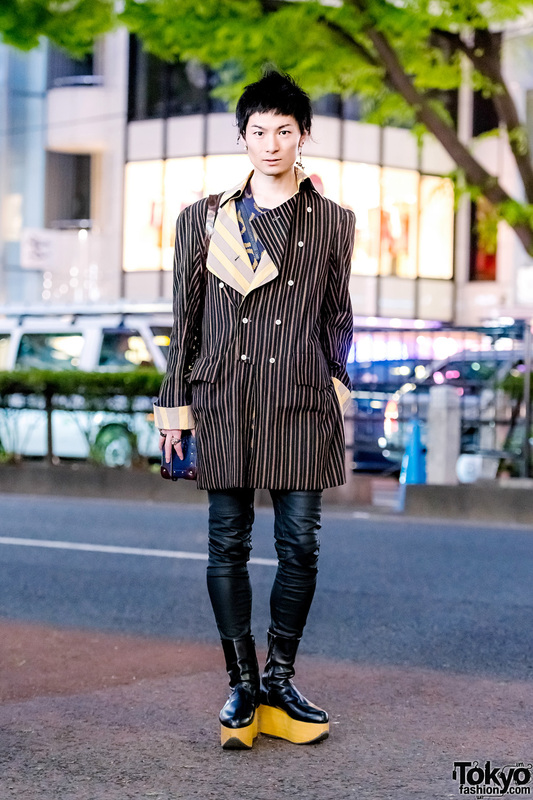 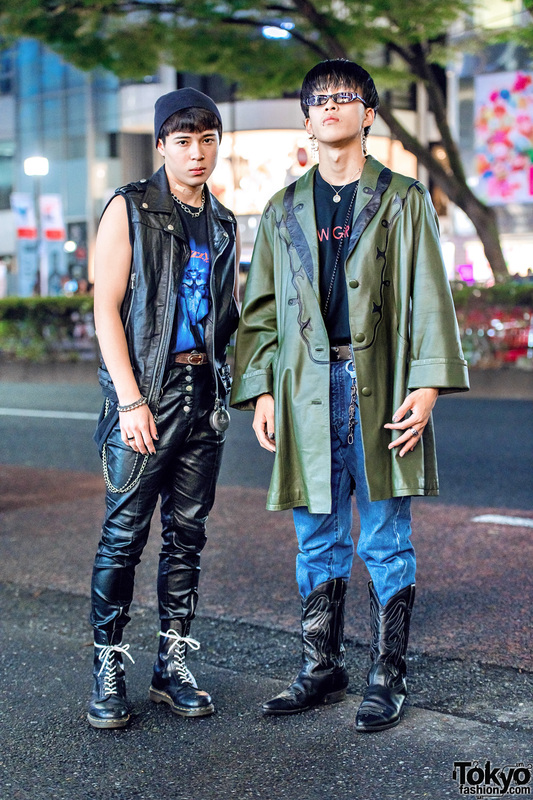 Harajuku guy in a stylish outfit while out and about on the street.